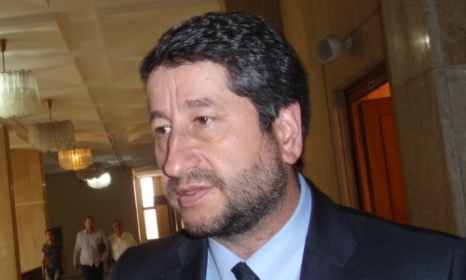 Former Justice Minister Hristo Ivanov wrote in his Facebook profile, defending the reform in prisons and attacking the prosecution. “In America, ahead of one of the major presidential primaries, one of the candidates ran a TV ad telling the story of a man who killed somebody in his youth. He was sentenced to life in prison, but behind bars he found the strength to rehabilitate himself. He went to school, he helped others and was released before his term. Today this man has not only ceased to be a burden on the prison budget (in Bulgaria the monthly cost of keeping a prisoner is about 500 leva), not only will he not commit any more crimes, not only does he own a business that creates jobs for other people, but he sets an example to his community that it’s possible to lead a good life without perpetrating crime. And even become a face of a presidential campaign. In Bulgaria when the Justice Ministry invited a prisoners’ association to give their opinion on a plan to improve prison conditions, that was turned into a scandal. Recently a newspaper “corpse” (a pun on the Bulgarian name of the daily newspaper Труд and “труп“, which means “corpse”), known to run articles commissioned by the chief prosecutor – Tsatsarov, was exploiting this story once again, garnishing it with a pile of lies as part of the dirty propaganda war against true reforms. As I was watching the campaign video I was overwhelmed by a deep feeling of shame that in my own country, instead of battling crime and facilitating the re-integration of prisoners, the prosecution’s office has become a power base for people who poison the public domain, tolerate the most corrupt practices and thus suffocate the will to instigate reforms. All this just for the sake of quenching a lust for power, regardless of the price. I also remembered something else. A few weeks ago, in one of the most secluded parts of one of the most remote Greek islands, I was stopped on the street by a Roma man who had recognized me. He had remembered my visit to Stara Zagora prison on 15 September 2015 where I had marked the beginning of the new school year. He had remembered my speech in which I said that the state wants prisoners to be rehabilitated so they can leave jail, never to return. This man had a job and was with his child.